Get Vendio Gallery - Now FREE! 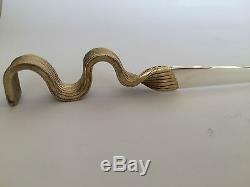 Grant Macdonald Sterling Silver Letter Opener. 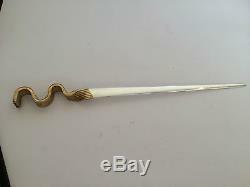 Fabulous Grant Macdonald sterling silver letter opener with gold plated handle in excellent condition. 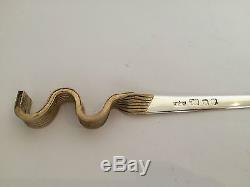 Letter opener is hallmarked London 1975. It measure 29.4 cm in length. 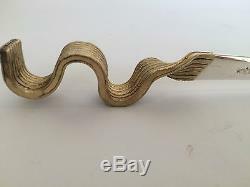 Grant Macdonald an internationally renowned silversmith with a tradition of handmade quality, design and innovation. Producing objects of rarity, quality and craftsmanship he s. Pecialise in the design and handmaking of exquisite silver and gold items in London. 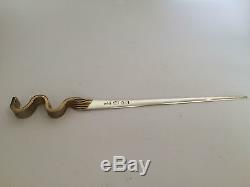 The item "Grant Macdonald Sterling Silver Letter Opener Paper Knife" is in sale since Monday, September 18, 2017. 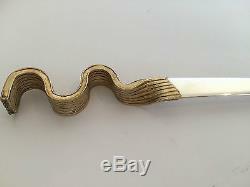 This item is in the category "Antiques\Silver\Sterling". The seller is "fineporcelain2" and is located in Adelaide. This item can be shipped worldwide.